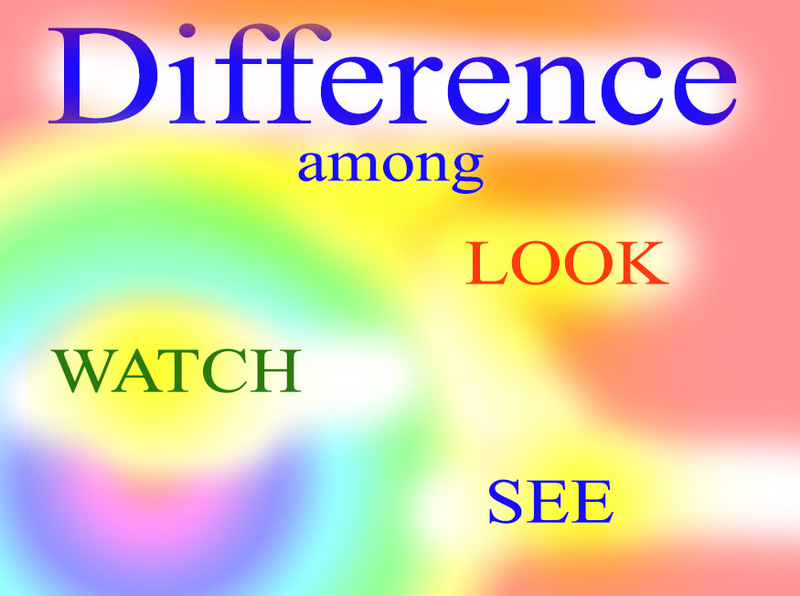 Upendra Singh Thakur: Difference Among "Look",Watch and See. Difference Among "Look",Watch and See. 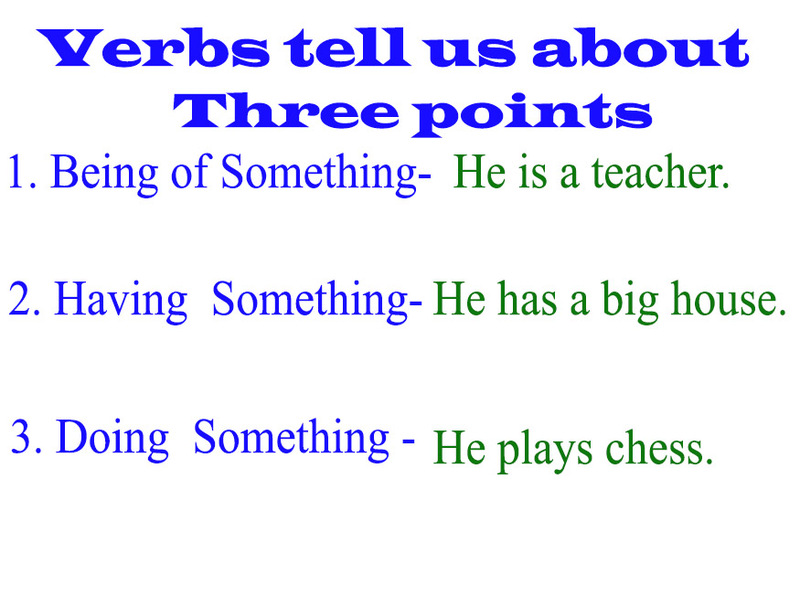 While taking my classes on Spoken English, I came across many questions which I understand are worth discussing here. My previous blog titled "Use of Have to, Must and Should" is an attempt to discuss the uses of them. Blogs on Proverbs is another attempt in the directions. 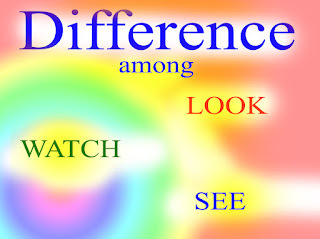 Recently, I received a call from a friend of mine questioning about the difference among the words SEE, WATCH and LOOK. These words give little jolts to the beginners as they appear to be same in meaning but are being used in different ways. This blog is an attempt to describe how these words can be used. Though these words look similar in meaning yet there are bit differences among them as far as their uses are concerned. See means what you perceive or detect with eyes or as if by sight. Watch means observe over a period of time. To notice or pay attention. (Something that moves right in front of you.) To “watch” something means to observe for a length of time and with an intention of observing. Look means try to see or pay attention. To appear or seem. Let’s discuss how these words are different from each other. The word “SEE” being a transitive verb, it is used to describe an action that passes over from a subject to an object. 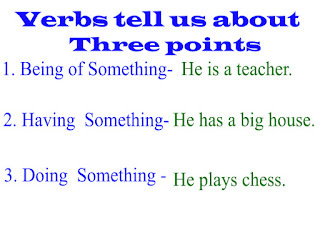 In other words, we can say that a transitive verb takes a direct or indirect object. I see you near main market every day. Have you seen my mobile? I saw a boy crying in the classroom. The word "LOOK" is an intransitive verb which means an action does not take a direct object. In other words, It shows an action that does not pass over from a subject to an object. Noteworthy:-Here, I can say when anything that comes to our sight with an intention we use LOOK. Please look up the words in the dictionary. Watch the cricket match tonight. Have you watched the movie titled Jurassic Park? Please do read my blog on English proverbs and comment on them.